Arrive in Christchurch with the day at leisure. Board the TranzAlpine train for New Zealand’s greatest rail adventure. Disembark at Arthur’s Pass and continue to Hokitika to see how Pounamu (jade) is carved into jewellery. Continue into Westland National Park and take in the dramatic terrain of Franz Josef Glacier. Check in to your luxury eco-resort before a four-course degustation dinner. Enjoy the incredible views as we drive through the stunning Haast River Valley to Queenstown. This evening, choose from a range of included dining options. 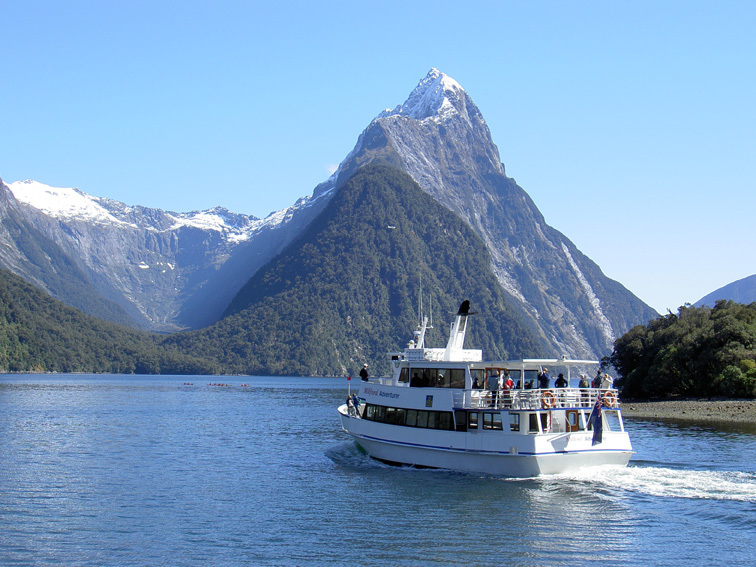 Enjoy the scenery as you journey along the Milford Road as it winds its way down the Eglinton and Hollyford valleys, then embark on a scenic cruise along the full length of Milford Sound. Continue to Te Anau and enjoy a special dinner featuring produce sourced from the surrounding Fiordland region. Travel via the small towns of Lumsden and Gore to Dunedin. This afternoon, discover Dunedin by selecting your included activity. Options include a visit to Larnach Castle, or a journey on the historic Taieri Gorge Railway. Mt Cook is the highest peak of Australasia. Discover this spectacular region with a choice of activities. Perhaps visit The Sir Edmund Hillary Alpine Centre, or take a guided walk. During the summer months, get up-close to icebergs on the Tasman Glacier Terminal Lake. Today, travel to picturesque Lake Tekapo. Visit the tiny Church of the Good Shepherd, before continuing to Christchurch. This evening, enjoy a delicious Farewell Dinner.